Doomed toor blessed witheternal life after drinking from a magic spring, the Tuck family wanders about trying to live as inconspicuously and comfortably as they can. 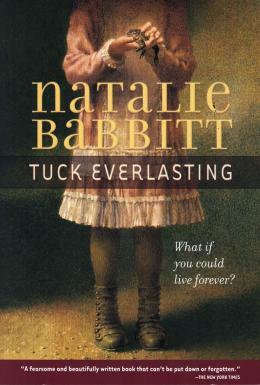 When ten-year-old Winnie Foster stumbles on their secret, the Tucks take her home and explain why living forever at one age is less a blessing that it might seem. Complications arise when Winnie is followed by a stranger who wants to market the spring water for a fortune.